TAS Debates are back on the 8th of June 2013! 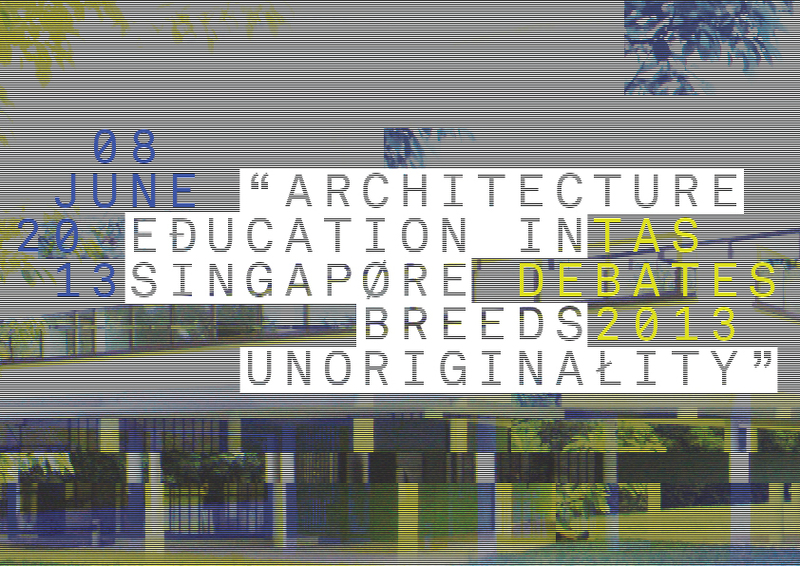 This year’s motion is ‘Architectural Education in Singapore breeds unoriginality‘ and we’re looking for participants! If you are interested in joining the proposition or opposition, please drop Lynn an email at lynnchengyuqi@gmail.com for more details. Please do so by 10th May. More details will be released soon, so watch this space!